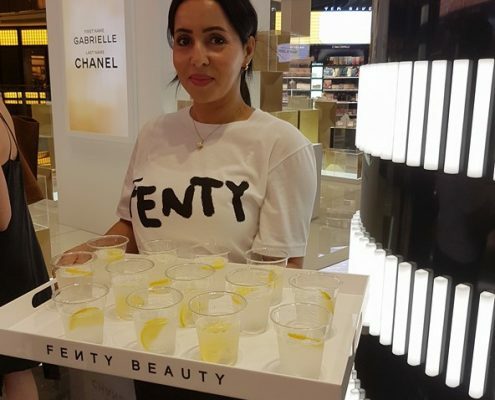 On the 8th September, Rihanna’s highly anticipated Fenty Beauty range debuted globally and as a Professional Makeup Artist and Beauty Blogger I was thrilled to be able to attend the launch at Sephora in Dubai. 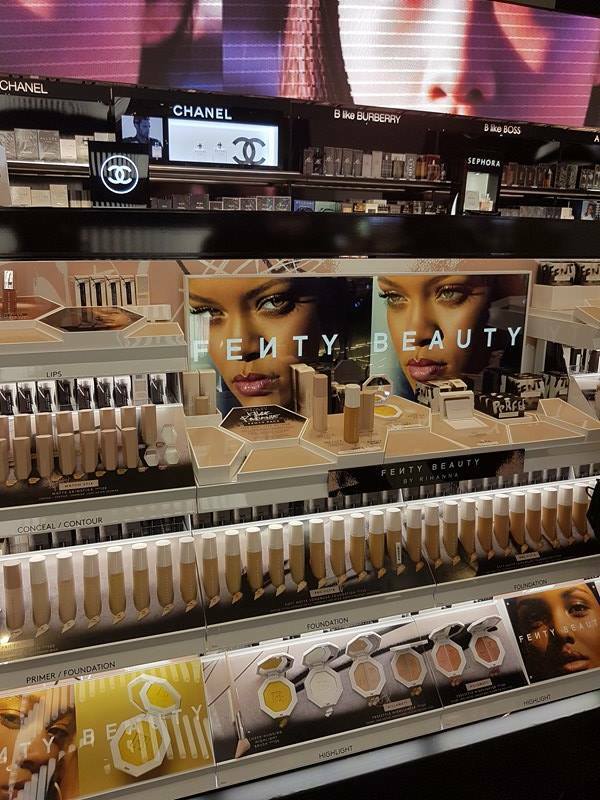 Bearing the Barbadian Pop Diva’s name (Robyn Rihanna Fenty) and heralding a promise of a makeup line to suit all skin colours and types, RiRi’s namesake certainly had the hype…but does it have the substance? 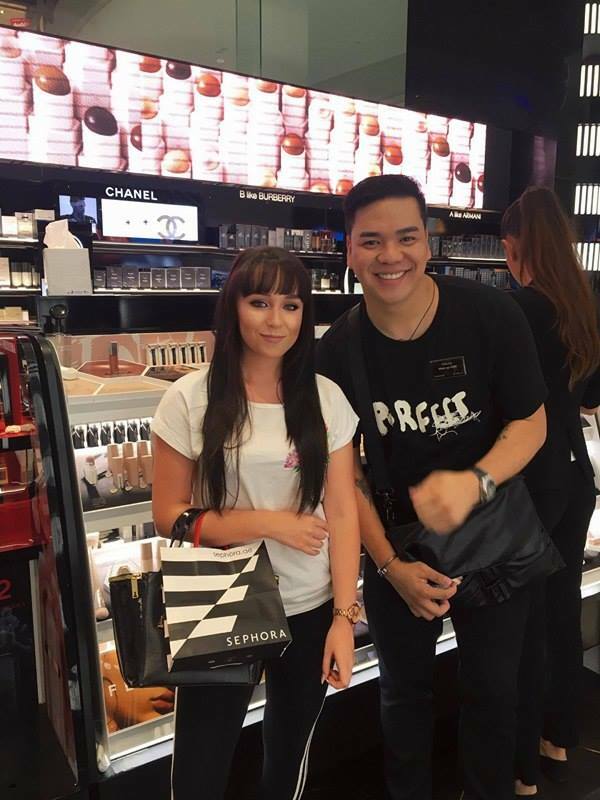 Literally laden down with an array of gorgeous products to bring back to the UK, choosing just one to review might have been a challenge …. had it not been for Trophy Wife! 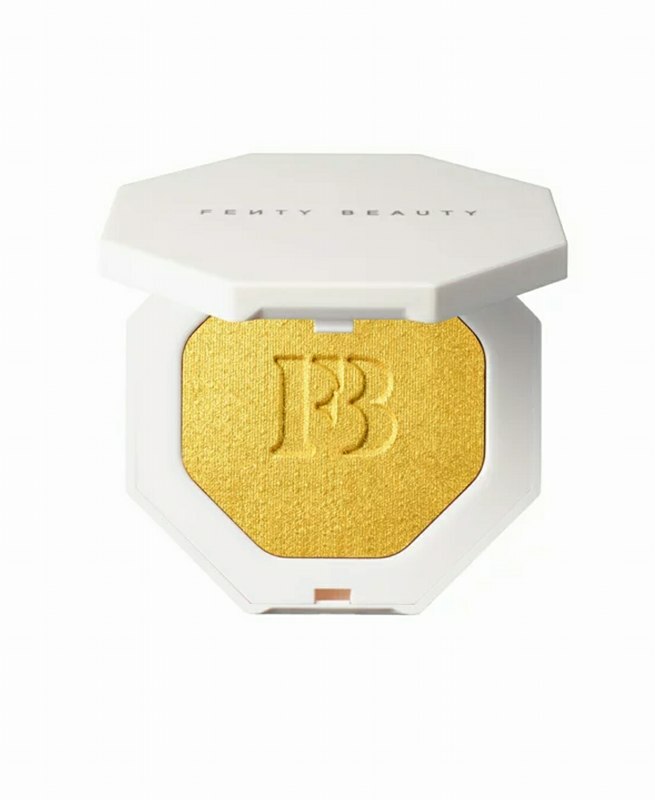 Arguably, one of the most talked about products in the range, Trophy Wife is one of Fenty Beauty’s six “Killawatt Freestyle Highlighters.” Rihanna’s “tongue-in-cheek” influence is unmistakable in the names. 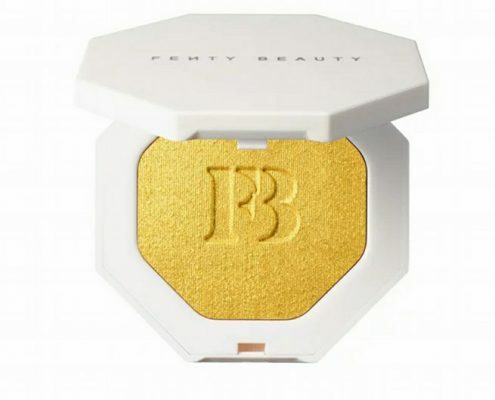 Described as a weightless, long-wear, cream-powder, Trophy Wife is a metallic yellow-gold pressed powder. 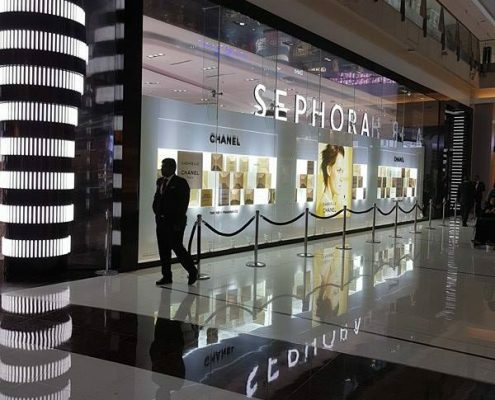 Highly pigmented and effortless to blend, it’s ultra-smooth and feels gorgeous on the skin. Colour-wise, it would be fair to say that it’s unlike any other highlighters in my Kit. Functional and versatile, all of the Highlighters can be used on any part of the body; cheeks, eyes, bridge of the nose or collarbone. 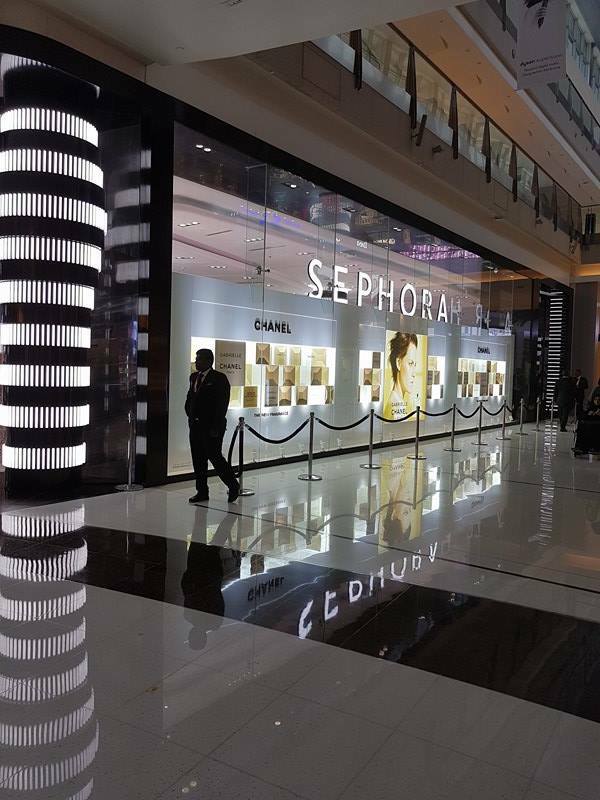 For maximum effect, think dramatic and be confident that this product has both the capability and the staying power to deliver. Apply liberally and Trophy Wife is quite literally blinding; guaranteed killer radiance! 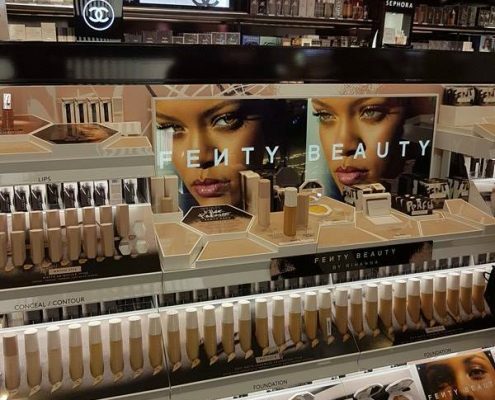 Available in the UK at Harvey Nichols and retailing at £26. A fabulous, glamorous purchase for the Party Season and equally suitable for all skin tones. 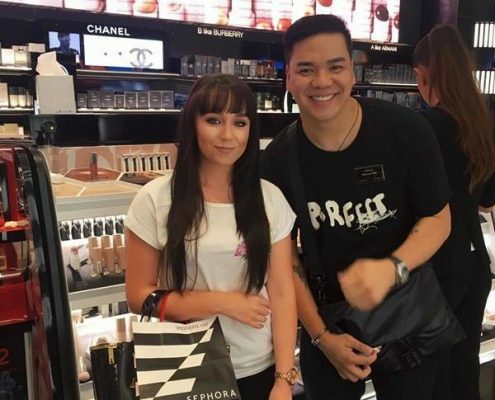 Christiane Dowling is a Professional Freelance Makeup Artist for Weddings, Bridal, Proms, Photo Shoots, Makeup Lessons & all Special Occasions. Based in Sandhurst , Christiane covers all of Berkshire, Hampshire & Surrey including Sandhurst, Crowthorne, Yateley, Finchampstead, Eversley, Shinfield, Reading, Burghfield, Wokingham, Binfield, Bracknell, Maiden’s Green, Warfield, Ascot, Sunningdale, Sunninghill, Virginia Water, Egham, Wentworth, Chertsey, Eton, Windsor, Datchet, Chobham, Woking, Guildford, Godalming, Frensham, Hindhead, Farnham, Churt, Bentley, Bordon, Aldershot, Church Crookham, Fleet, Hartley Wintney, Hook, Basingstoke, Farnborough, Fleet & across London.